First of all ... 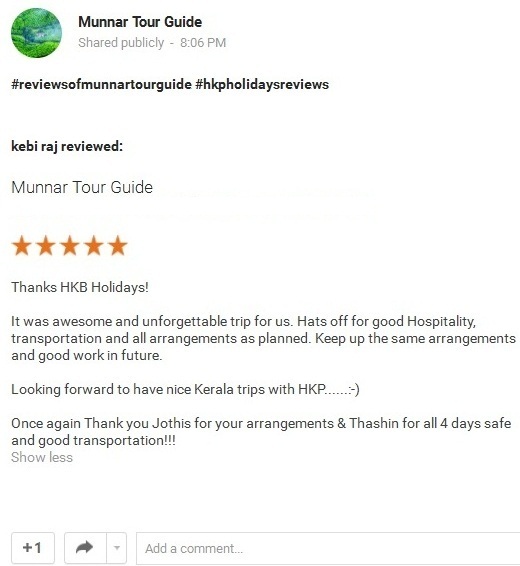 Thank you Kebi Raj Sir for making our day happier by writing top class review on our Official Google Plus Page. During the initial stage of package customization rather than being a client, you broken the barrier and converted as a friend . So our team also felt much comfortable with you and each and every person worked hard for making your honeymoon a memorable one.